Not your typical antique store! It's worth a visit to check out the crazy 50's nostalgia! Unique and ecclectic items like a Cushman scooter, gas pump, jewelery, furniture and signage. 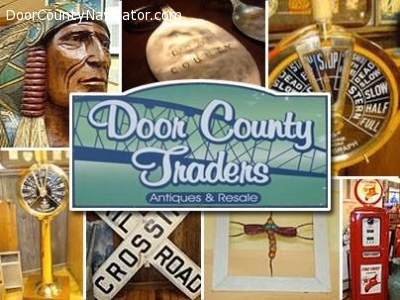 Home of the handcrafted Door County Keychain~Local artist handcrafts them from vintage silver spoons crafted by hammering& stamping a unique, one of a kind keychain from Door County - only $3.95.